Store, protect, and transport your FreePlay Person PA System with the black Carry Bag from Mackie. The bag features a zipper closure and accessory pockets for microphones, cables, and other items. A top carry handle and a removable, adjustable shoulder strap makes it easy to take your FreePlay everywhere you go. 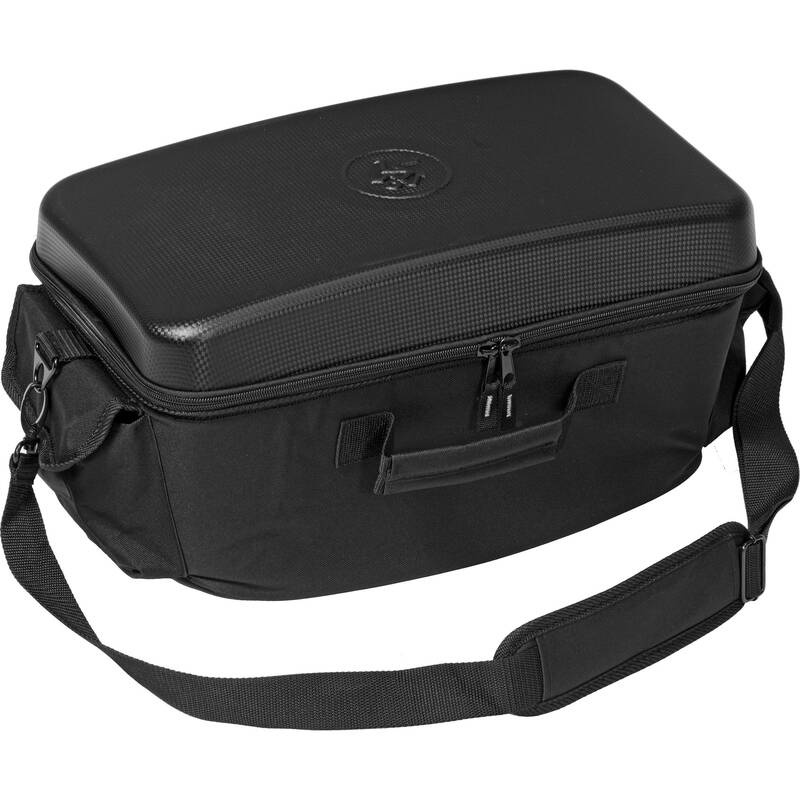 Box Dimensions (LxWxH) 17.4 x 15.6 x 9.5"
Carry Bag for FreePlay Personal PA System is rated 4.0 out of 5 by 2. Rated 4 out of 5 by superfiddle from Awesome Great protection for the Freeplay. You can store the Freeplay in the bag with the kickstand adaptor. It even has a velcro opening to keep it in the case if it rains a little. The pockets could be bigger, but still are functional for an xlr, 1/4' & microphone. Rated 4 out of 5 by Pro Life Advocate from A great way to transport this unit. This bag is an excellent way to transport the unit to keep it dry and protected. It does have some pockets, but they could be a little larger. Our microphone, cords and electric cords just barely fit. It also does not fit the adaptor plate for a speaker stand either separately, or when attached to the unit. That is a big drawback.